For several years now real estate blogs and sites have been pushing consumers to buy now because interest rates are rising. It has gotten to the point for me that I equate it to "crying wolf". However it is true. We've had amazing low interest rates the last several years. Those rates helped keep our real estate market thriving during and after a tough recession. These low rates have made it possible for more people to become homeowners, and they helped consumers buy more house than anticipated. Interest rates have been historically low between 3-4.5%. We anticipate by the end of the year they will be close to 5% and rising. Keeping Matters Current posted an infographic today on their blog showing with real numbers how the cost of waiting to buy really plays out. The house you would buy today will probably appreciate in price over the next 12 months, and you will have a higher interest rate on your purchase. Check out the link above to see real numbers. The number we really don't like to see is the one that shows how much more you will pay over the life of your loan. When it comes to debt we prefer to pretend that number is an ambiguous blob floating out in space. As I get older and more practical, I realize that number is my child's college fund, my dream home, my Italy vacation, etc... The word on the real estate streets is that this time the rise is really happening. For those of us past a certain age, we aren't scared. When I bought my first home in 2002, my interest rate was 7%. Those before us tell us they walked to school uphill, in the snow, both ways, and paid 16-18% on their homes in the 80s. We survived it! But I guarantee you most of us have taken advantage of this time to buy and refinance all our properties before we see those high rates again! 2. What else is going on in your life? Are things too unsettled or too big to add one more spinning plate? Sometimes you are pushed into a move, but sometimes you have the choice to take your time. 3. How will this move affect my family? Feel free to call or email me to discuss. I'm a good listener and will give you honest advice. Natalie Bratton, sales associate with RE/MAX First in OKC has been awarded the 100% Club Award at the RE/MAX Mid-States & Dixie Region Annual Success Celebration in Oklahoma City. The award represents the RE/MAX associates who earned at least $100,000 in gross commissions in a single year. This is Natalie's 2nd year in a row to be in the 100% club. 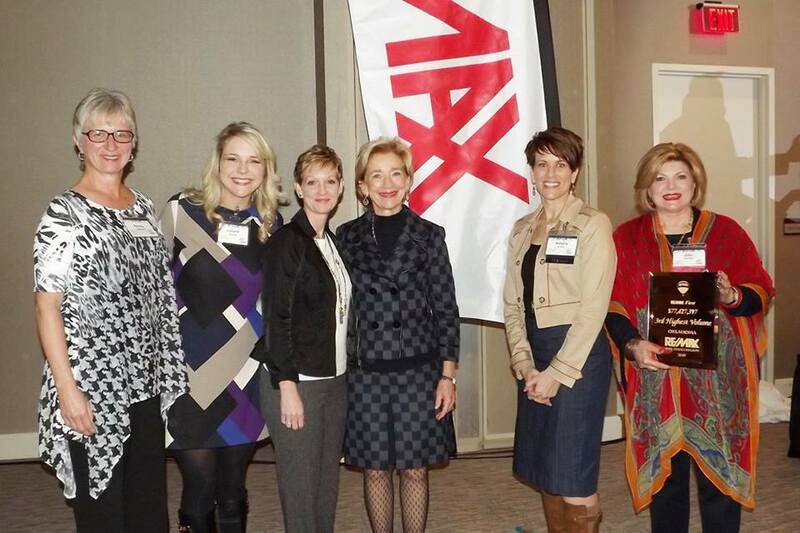 The RE/MAX First office was 3rd place for RE/MAX offices in Oklahoma for Most Volume at $77,427,197. The RE/MAX franchise network is a global real estate system operating in many countries across the globe. With over 103,000 member sales associates who lead the industry in professional designations, experience and production while providing real estate services in residential, commercial, referral and asset management. For more information, please visit www.remax.com or www.joinremax.com. Is Your Home the One? There is a shortage of homes on the market in the OKC area. I have several buyers ready and waiting to purchase a home, but we haven't found the right ones yet. Is yours the one? Would you consider selling? Here are 5 of my buyers with specific desires. If your home fits and you'd like to sell, let me know ASAP! Buyer #1: Up to $150,000, but prefer less. Village area, but would go north into the Greens and the Arbors; south in Belle Isle, Edgewater, Biltmore, etc... 3 beds, 2 baths, 2 car garage. Doesn't mind cosmetic work. Needs either an office or 2nd living area. Buyer #2: Up to $210,000. Would love the west side of the Village, but would go south to Edgewater, Nichols, and Belle Isle area, north to the Greens and Quail Creek. 3 or 4 bedrooms, 2+ baths, 2 car garage. At least 1800 square feet. Buyer #3: Up to $150,000. Historic NW OKC area. Loves bungalows and tudor style homes. Needs at least 3 bedrooms and 1400 square feet or more. Doesn't mind doing cosmetic updates themselves. 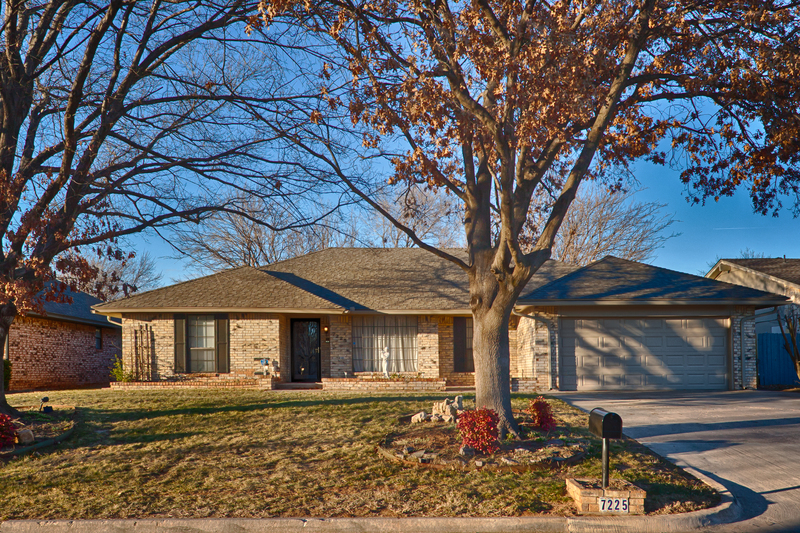 Buyer #4: Edmond up to $225,000. 4 bedrooms, 2+plus baths, 2 or 3 car garage, at least 1900 square feet. Really wants a large landscaped back yard. Buyer #5: House on a golf course lot at least 2600 square feet under 4500 square feet. Modern and no repairs or updates needed $300,000-$600,000. If you would consider doing a one time showing and selling your property, maybe we can all work something out! Early in each year I like to look back at how the real estate market has treated our fair neighborhood in East Edmond. During the recession, 2009-2011, sales in TV were pretty awful, so I've enjoyed bringing the good news every winter since. Since 2011 our sales have increased in price and number every year, and this year is no different. Let me start with new construction. We only had 5 new construction homes sell in 2014; however, Tranquility homes currently has 2 homes under contract, and Vorderlandwehr has 2 on the market. It looks like maybe in 2015 our neighborhood will finally be complete! The average price per square foot of new homes in our neighborhood in 2014 was $124. That is a couple of dollars per square foot lower than other similar neighborhoods in Edmond. The average sales price of new construction homes was $243,960. All of these homes are just a little under 2000 square feet. I keep telling people buying a home in TV is a great deal! Now for the part I'm most excited about: RESALES! This is where we've vastly improved over the last few years. 2013 we had 8 sales. 2014- 9 sales! 2013 average days on the market was 70. 2014-30 days! 2013 average sales price per square foot was $107. 2014-$110 per sf! 2013 average sales price was $207,238. 2014-$221,517! We do have an inventory shortage across all of Edmond and the OKC Metro area. If you are considering moving 2015 may be a great year to do it. Just listed: Certified Pre-owned Home for Sale! That means it's been inspected and repaired. Title work has cleared. Move in Ready just for you. 7225 NW 105th Terrace in Eagle Lake Estates. Click on the photo for more information. Today I'm cancelling another website I've had for 6 years which also includes my blog, www.nataliebrattohomes.com. Well don't go to that site anymore, because I've moved all the best posts to this blog site attached to my main website, www.Oklahomahomeseller.com. So any blog below this one was written sometime between 2008 to the present. One thing I've noticed is I haven't written a lot lately. Maybe I will get back into my informative and creative mode soon. House Still for Sale? What went wrong? It is frustrating when your house doesn't sell, especially if you've been keeping your house "show ready" all the time. You've done everything you know to do, but still your house just sits there, not selling, while you are anxious to move on to the next phase of your life. It's tempting to place blame on the marketing, your listing agent, a bad economy or other factors. It could be any or several of those factors. Let me be real with you and lay out of few of the possible factors for you. If the supply of homes on the market increases, the time your home stays on the market could increase. If you increase the price, the time on the market will increase. Likewise if you decrease the price, the time on the market will decrease. If the quality of your home (appearance, staging, cleanliness, paint, maintenance) increases, the time on the market will decrease. If the quality of the marketing increases, the time on the market decreases. We cannot control the economy or supply and demand. The good news is you do have control over product quality, pricing, and marketing. If you have found yourself in the predicament of having a house that won't sell, take action and contact me. I am a market expert and a problem solver. I also have an extensive, successful marketing plan. I'm available to help you take control of this process. No hype, no gimmicks. I'm a normal person like you who understands the ins and outs of home selling. Contact me for a free consultation. The Oklahoma Housing Finance Agency (OHFA) recently introduced a new program for home buyers. It sounds a lot better than their old bond money program. First of all, the old program was only for first time buyers, was a 3.5% down payment assistance at a higher interest rate, and you had to pay the loan back over time. The OHFA Dream: FHA, VA, Section 184, or USDA 30 year loan with certain lenders who are members of the program. The buyer must qualify under regular FHA standards which includes at least a 640 credit score. The loan is for your primary residence only, but you do NOT have to be a first time buyer! The house must be in Oklahoma. The interest rate fluctuates with the market just like a regular FHA loan. The assistance is 4.5% of the total loan amount! There is NO repayment, no lien on the property! It is considered grant/gift money. You are not required to stay in the property for any length of time! There are extra fees involved for using the program. In addition to regular closing costs associated with the loan, I think there is an additional $575. The buyer has income limits to qualify for the program. It varies county to county. In Oklahoma county a one to two person family must make less than $73,680 annually. A 3 or more person family must make less than $85,960. OHFA offers a similar product called OHFA 4 Teachers to all Oklahoma teachers with a current teaching license who are currently employed by a school. OFHA shield is for current fire fighters and police officers. If you are interested, let me know. I can refer you to one of my preferred lenders. If you are thinking "a change will do you good" in the near future, it's good to plan ahead. While impulse buying and selling can be exciting, most of the time, you come out with the best circumstances when you take the time to dream, plan, and set yourself up for the best possible outcome. If you think selling your home in the next year or so is something you would like to do, here are some important things you need to do to prepare. 1. Pay down the principal on your mortgage. If you paid 5% or less on your down payment, you may not have a lot of equity in your home. This is especially true if you've lived in your home 5 years or less. Homes are appreciating, but maybe not as much as you need to come out ahead on your home sale. You have to consider closing costs and repairs in addition to paying off your mortgage. It is important to start paying a little extra in your monthly payment. Add as much as you feel comfortable to your payment and write "principal only" in the memo line. If you have automatic withdrawal, call your mortgage company to set it up. One extra principal payment per year will cut off about 7 years to the life of that 30 year mortgage you have. Then if you change your mind and keep your house, you will at least save thousands of dollars in interest over the life of the loan. I cannot emphasize enough how important this step is. I come across home sellers all the time who want to sell, but have to wait because they need to increase the gap between how much they owe and what there home is now worth. Or they go ahead and sell, but end up paying money at closing. 2. If you are planning to purchase another home along with selling the current home, talk to a lender and make sure you are financially in good shape. Make sure there are no bad surprises on your credit report, and make sure your debt to income ratios are good for the price range of the house you plan to buy. It would stink to sell your home only to find out you have to become someone's tenant. 3. Make all the small repairs. You know all those small things that you've decided to live with for awhile? Go ahead and start fixing those. If you can do it yourself, that's great. If you aren't handy, hire it out. If you start now, you won't have to spend all your money at one time right before you list. I know this step is hard for procrastinators. 4. Invite me over. (If you aren't in Oklahoma, I can refer another RE/MAX Realtor as smart as I am. ) I can go through your house with you and give you tips on what needs to be done to make your home the best product for consumers. The way we live and decorate our homes is not the same as when you present your home as a product for sale. This usually involves a lot of de-cluttering, some painting, and a few small updates. I am full of useful information and have 10 years of experience to share. I've done this with people as far in advance as one year out! Those people are serious planners! Really the great thing about doing this in advance is I can tell you what updates are important and the most cost effective. Sometimes sellers do costly remodeling only to find out that they chose the wrong products or that they won't get a good return on their money for that particular upgrade. 5. Be aware of the home sales in your neighborhood. You can be an open house regular, or you can ask me to send you monthly neighborhood updates. Know what homes are selling for in your neighborhood. That way when it comes time to list, you have realistic expectations for your sale. If you have any questions on getting started, let me know. I'm happy to help. 2011 sales: 6 new construction homes sold for an average price of $224,967. 2 resales sold for an average price of $193,250. 2012 sales: 4 new construction homes sold for an average price of $235,525. 7 resales sold for an average price of $205,000. 2013 sales: 8 new construction homes sold for an average price of $250,300! 8 resales sold for an average price of $207,238. Let me break down the 2013 information a little more. On new construction homes, the average square footage was 2013 sf, and sold price per sf was $124.34. On the resales, the average square footage was 1937 sf and the average sold price per sf was $107 per sf with an average of 70 days on the market. Selling a home in Edmond still requires pricing your house competitively and presenting a great product to the home buyer. However, the number of homes for sale in Edmond is low in comparison to previous years. Home sellers are having an easier time finding new owners for their homes and at slowly increasing prices. If you've considered selling your home in Tuscany Villa, now is the best time we've ever had to resell a home in our neighborhood. If you would like a current market analysis for your specific property, let me know. 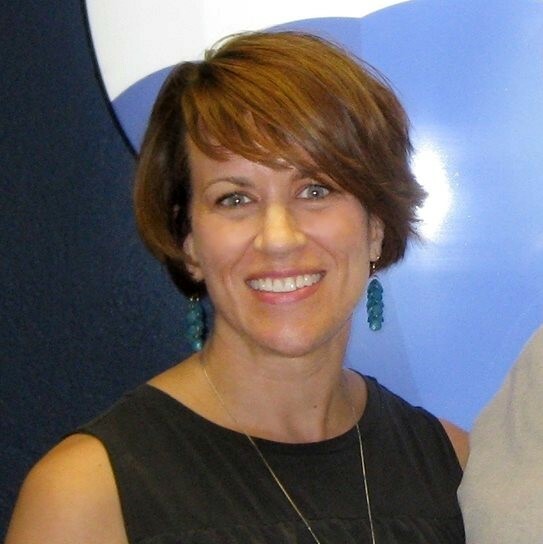 nataliebr@cox.net, 405-843-8448. If you love our neighborhood, but need a different home, we have 3 builders who would build you a fabulous home. It looks like there are about 2 dozen lots left. Let me know if I can help you get started.